I am trying to port my FMX application from Berlin to Tokyo (C++), but I have a problem with android version when I try to add values to series at runtime (it produces access violation). I try to make a small sample and it seems that either this one works correctly in Android (in iOS or windows works fine). In Windows and iOS it displays chart correctly but not on Android. Same application in Delphi works fine. Is it something wrong with my installation or TeeChart or there is a bug in Tokyo? 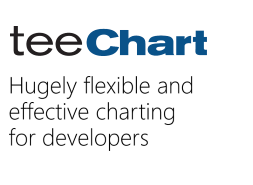 I don't get any Access Violation using the latest TeeChart Pro v2017.22. However, calling FillSampleValues for the whole SeriesList doesn't seem to populate the series in C++Builder for Android. Can you try it to see if it works in your case? Excuse us for the lack of reply here.